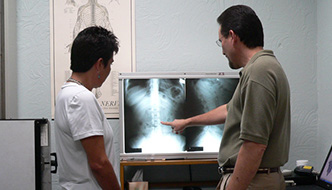 Dr. Garcia is well respected in all phases of chiropractic, from education to case management. He attended the University of Houston and is a graduate of Texas Chiropractic College in Pasadena, Texas, where he received his Doctor of Chiropractic degree. 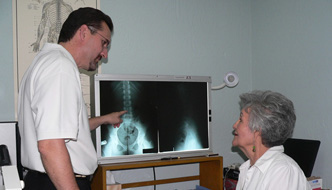 He has been in private practice in McAllen since 1989. His clinic has been awarded the prestigious “Five Star Quality Award”. I highly recommend Dr. Garcia...and his staff! I started with a 9 out of 10 pain in my lower back, and am now almost pain free. Dr. Garcia truly cares about his patients and really listens and helps/guides you! Oscar, their PT is absolutely wonderful as well! If I could give them all a 10 instead of a 5, I would!!! Great service and wonderful service. I just finished my first visit with Dr. Garcia and I must say that I was thoroughly impressed. The staff was great and the service was prompt. Everyone was very professional. Dr. Garcia explained everything that they found and what his plan was. It was my first time ever seeing a chiro so I had my doubts, but the spinal manipulation and trigger point therapy worked wonders. Also, they have this very cool machine that checks your muscles to pinpoint the problem areas. It was accurate to the T to where my problem areas were. Excellent job overall...highly recommended!! !